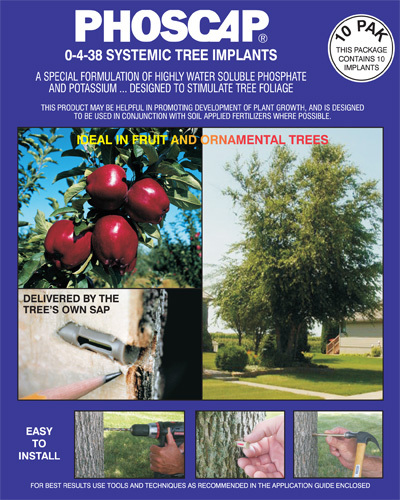 PHOSCAP® Systemic Tree Implants boost the immune system and stimulate the tree to tolerate higher levels of environmental stress and pathogen attack. 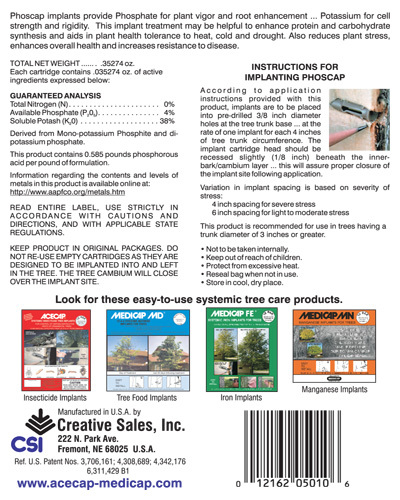 The active ingredient in PHOSCAP® is derived from mono-potassium phosphite and di-potassium phosphate, which directly impact the plant’s metabolism. 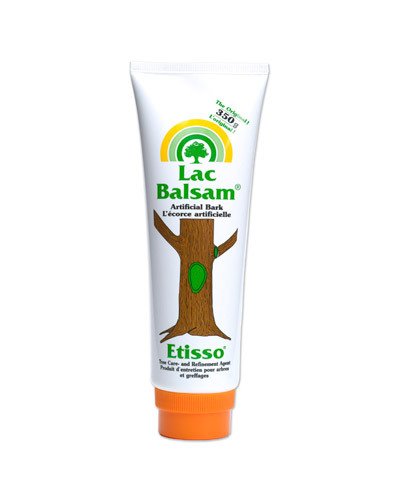 It is quickly absorbed across cell walls and transported through the xylem and the phloem vascular system. Phosphorous is critical for the development of a strong and extensive root system as well as playing a major role in the flowering process. 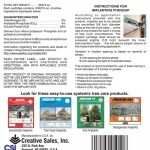 This treatment provides long-lasting control – usually 2-3 years. 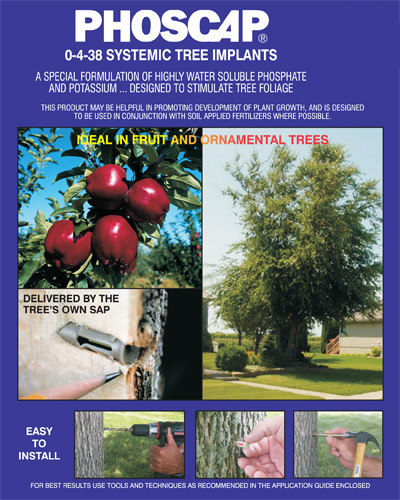 Available in “Standard” 3/8” diameter for trees with a trunk diameter of 3” or greater.